Disclaimer: This is a sponsored post for Firmoo.com. I received a pair of glasses to review in exchange for this post. As always all opinions expressed are my own. I have a love hate relationship with glasses. My vision was great until high-school. Then I started to realize that other people seemed to see leaves on trees, while I just saw green blobs. I fooled myself into thinking it was normal until I could no longer see the chalk board. Since I was a straight A student I knew that I had to deal with my bad vision or my grades would suffer. So I finally made an eye exam appointment. My parents made very little money and all my money from work was going into a college fund, so I ended up with a cheap pair of plastic frames. There are great plastic frames, but these were not one of those. When I finally moved out on my own and had a little extra money from work during college I went in for my usual contacts (I hated glasses) and I decided to try glasses once again. This time I found a pair that I loved and wore glasses most of the time I was in college. Now that I am in my 30's I wear both contacts and glasses. I love contacts since they are convenient and I don't get migraines from the pressure on my face. However, I also love the look that glasses can give and they are easy to take care of. Recently, I was given the chance by firmoo.com to try a new pair of glasses and review them on my blog. All free code eligible eyewear at this page is offered in limited quantities every day. First come, first served! For new customers only. One pair per person. 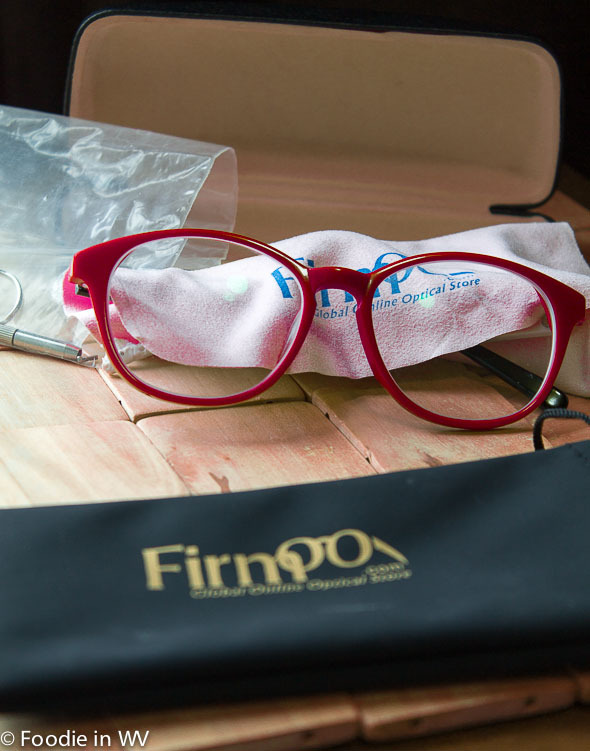 All free frames come complete with 1.50 single vision lenses, complimentary cases, cleaning cloth and other accessories. You just need to pay shipping. See the details. This offer is open to U.S., Canada, Australia, UK, New Zealand, etc. My glasses came very quickly. The frames looked exactly like they did on the website. There isn't a large variety of frames to chose from on the site. Most of the frames are plastic, which is pretty thin and could break easily. Overall for the price and the product received I think that the site works well. They are nice glasses, especially as a back up pair. I tend to break my glasses very easily so this site would be a great way to order multiple pairs to have on hand in case your main pair breaks or is lost. My hubby has a pair of Firmoo glasses and he really likes them. A bonus is that their heavy duty, big glasses cases really rock! I agree that their cases are really nice! Those glasses are really cute. My glasses are also red - I like the splash of color on my face.